A Better Way To Good Health for your loving companion. If you have a nervous or misbehaving pet, you may be at a loss when it comes to how to help them. Anxiety in dogs can be tough to treat — after all, it’s not like you can have a conversation with your dog to find out what is wrong or how you might be able to help. However, you may have seen CBD making headlines as of late. What is CBD used for when it comes to dogs? The answer may surprise you! Pet owners around the world are turning to Pet CBD Oil to help ease their dog’s anxiety and rambunctiousness. If you have questions about CBD oil for dogs, you’ve come to the right place. Just as CBD has helped humankind for centuries, your horse, dog, cat, rabbit, pot-belly pig, or even pigmy goat can reap the same health-boosting (and even life-saving) benefits. Researchers are turning their attention to this magic CBD oil and, so far, they’re finding there are lots to like. Our pets have the same endocannabinoid system as we do and experience many of the same ailments. Aches and pains as in the case of older dogs, anxiety like the kitty that hides under the bed, seizures, inflammation reduction can all be managed better with CBD oil for pets. With so many studies showing the health benefits of CBD, the most encouraging result is that CBD appears to be safe, even when taken in high doses and over extended periods. ALWAYS CONSULT WITH YOUR VETERINARIAN BEFORE ADMINISTERING CBD OIL TO YOUR PET. keep our animal friends relaxed and calm. A lot of animals, most often horses and larger breeds of dogs, tend to have mobility issues, especially when they age. Since inflammation and swelling is the leading cause of joint pain, and CBD is known for its anti-inflammatory properties, CBD may be perfect for these types of conditions. Let’s get something straight. CBD can not heal cancer, but it can certainly help reduce pain, increase appetite and stop seizures. Glaucoma is a common eye condition in all animals, especially in breeds of dogs. CBD helps keep the ocular pressure normalized and prevents further issues. by taking behavioral classes with your pet. CBD is an excellent addition to this, as it helps pets stay calm and not get triggered by certain situations. such as mood, memory, pain and appetite. 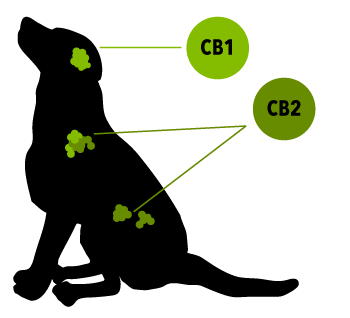 CB1 receptors are found in higher numbers in the brain. And notably more CB2 receptors are found within the immune and endocrine system. for best results and safe use. Consult holistic vets who support THC-free CBD supplements. 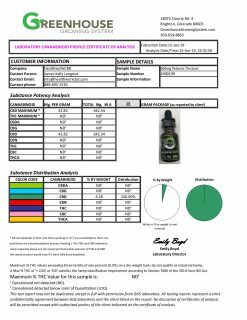 Be sure to choose a top CBD brand. Don’t settle for less. Many owners who have a hard time with their šet turn to Pet CBD Oil for a natural method of helping their dog to calm down. Easing your pet’s anxiety can make him or her much easier to train. It’s awfully hard to give a dog commands if it’s panting, running around chasing its tail, or simply can’t seem to sit still and concentrate! Help your pet along by giving a small dose of CBD, as long as your veterinarian says it’s okay. You should always check with your pet’s doctor first, before you ever introduce a new or questionable substance — no matter if it’s food, treats, or even CBD oil for pets. When it comes to dosing, first, determine which Category is a fit your pet as per it’s body weight and breed. If the symptoms are subsiding, then there’s probably no reason to increase your pet’s daily dosage. There is NO DANGER of overdosing! Start with the LOWEST DOSE and then increase as per the pet’s reaction and needs! Remain consistent FOR TWO WEEKS before increasing the drops.